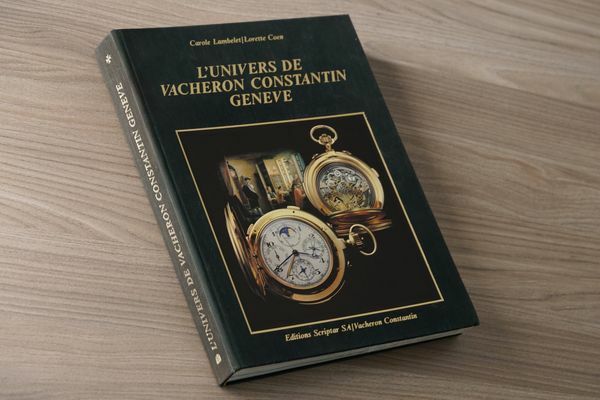 In 1992, a book titled L’Univers de Vacheron Constantin Geneve published a small photo, in black and white, of a tonneau-shaped watch next to other wristwatches and pocket watches made by the prestigious Genevan watchmaker during the 19th and 20th century. To the uninitiated, there was nothing spectacular about this watch, no suggestion that it was in any way more important than the other watches on page 404. 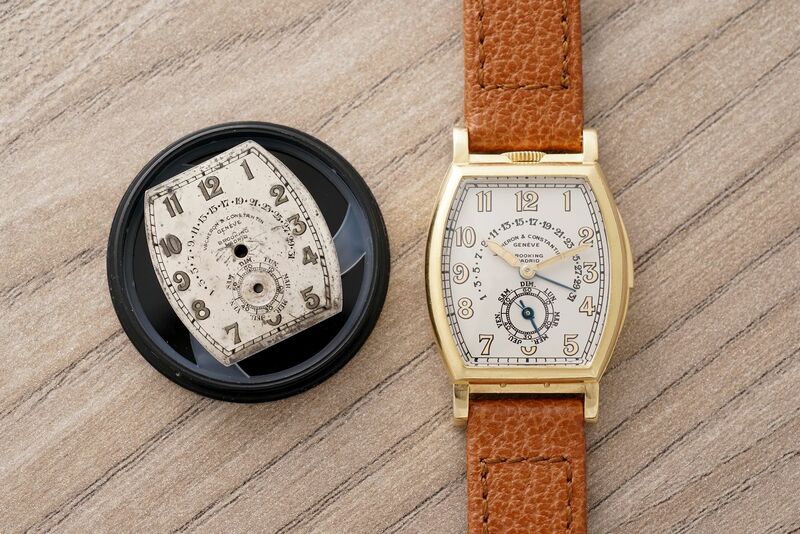 The only information printed next to it was a date, 1936, and a number, 3620, which Vacheron Constantin’s Heritage Department had assigned to the photo. However, those who had taken the time to inspect the watch’s features - a crown at twelve o’clock, a calendar indication at six o’clock, a retrograde date and a minute repeating trigger placed unusually on the right side of the case – recognized an extremely precious timepiece. In fact, the book had just revealed the crown jewel of Vacheron Constantin’s 20th century wristwatch production. The mythical photo 3620, page 404 of L'Univers Vacheron Constantin. For the next twenty years, enthusiasts from all over the world began talking about what became known – due to the lack of details surrounding the watch – as Reference 3620. 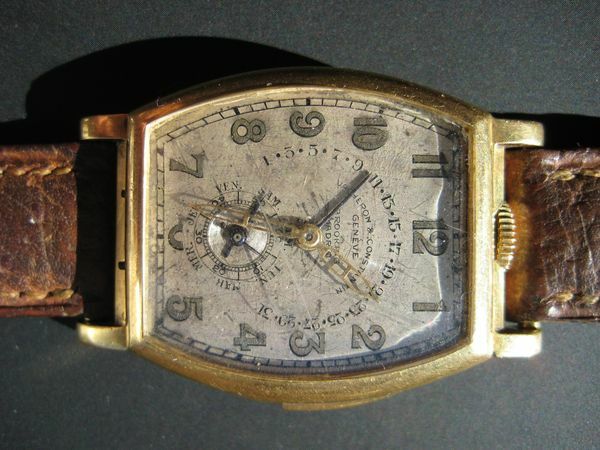 The search for one of the most important wristwatches ever made was on, but no one knew where to start. Even the most basic information – the color of the case – remained a mystery. The photo Alex Ghotbi received, proof of the watch's existence. Now Head of Sale of Phillips in Geneva, Alex Ghotbi was the first to see any concrete proof of the watch while working at Vacheron Constantin, in 2011. A founding member of the watchmaker’s online forum, Ghotbi was one day contacted by an anonymous source claiming to own Reference 3620. “I initially dismissed the idea. It seems so implausible for someone to reach out in this way regarding possibly the most important wristwatch in the company’s history,” he recounted. But the photos attached to the sender’s email proved him wrong. To his astonishment, they showed very clearly the watch that was in book and it answered at least one question which had long been on the minds of those searching for the watch – the case was made out of yellow gold. Better yet, the photos showed a watch with an unpolished case and a charismatic dial in worn but original condition. The watch was real—but the explosion of excitement among collectors was overwhelming for the watch’s owner, who immediately went offline. Ghotbi says he stared at the watch in disbelief during this meeting. “Imagine you’ve been talking about a picture for more than 20 years, and finally you see what’s in the picture for yourself for the very first time”. The feeling was magical. “When Phillips told us that a very important Vacheron Constantin had been found, I thought to myself: I really hope it’s the mythical 3620”, said Christian Selmoni, the watchmaker’s Style and Heritage Director. Vacheron Constantin is one of the very few manufactures that is capable of retrieving precise information on every watch it has ever made. 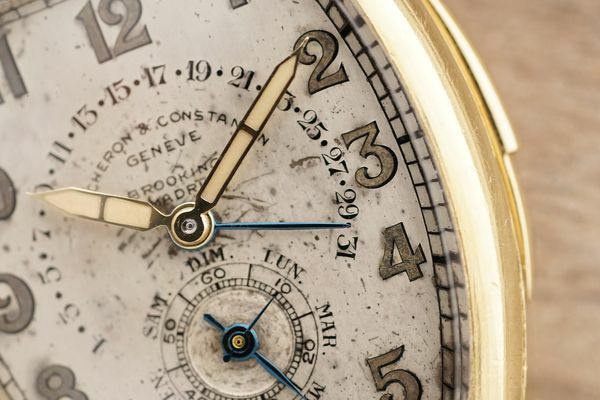 Thanks to its extensive archives—which are safely stored in a room somewhere beneath the ground floor of the manufacture—we now know the entire story behind Reference 3620, including the identity of the original owner, the date on which it was delivered to the client, and the total cost of the watch. Everything had been neatly recorded in hand-writing inside a book containing many other impressive entries of timepieces made by Vacheron Constantin. Here is its incredible story. 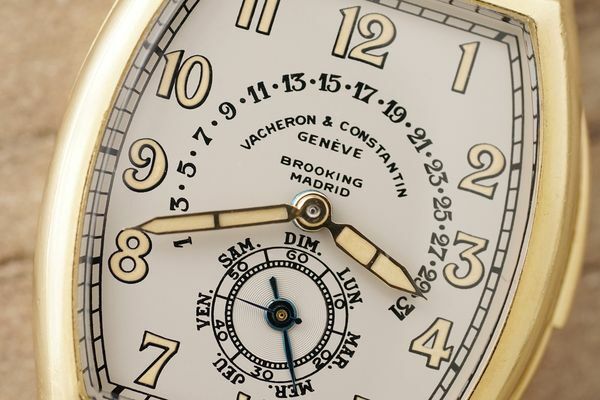 On December 1935, Vacheron Constantin received a letter from Brooking, a Madrid-based retailer who, on behalf of a client, wishes to commission a pièce unique. The client was a Spanish businessman named Francisco Martinez Llano, who wished to have a wristwatch with functions then typically found in the company’s most complicated pocket watches. Llano was based in Chile, making communication between the three parties quite slow, and the distance between he and the retailer meant it was impossible for him to see other wristwatches similar to his dream watch. Instead, hand-drawn sketches of three concept models were sent to Chile, with notes explaining the different calendar and minute repeating functions of each model, as well as their expected delay and cost. Initially, Llano set his sight on a simple minute repeater model, but future correspondence with Brooking show a growing desire for more complex functions. He later inquired about making a perpetual calendar minute repeater, before finally placing an order for a 10-lignes minute repeater with day, and retrograde date – he explained in one letter that he wanted the dial to remain legible, at the cost of removing some of the calendar functions present in a perpetual calendar. When the final order was placed, it read as follows: a large yellow gold tonneau-shaped case, a crown at twelve, a minute repeater with the lowest possible notes, a repeater trigger on the right side of the case, day, retrograde date, and the clients’ initials in blue enamel on the caseback. In addition, Llano asked to be sent two dials - one with radium numerals, and another with enamelled black Breguet numerals – as well as six interchangeable leather straps. The cost of the watch, dials, and accessories adds up to a grand total of 3,750 Swiss Francs, making it one of the most expensive wristwatches sold during Llano’s lifetime. What’s remarkable is that Llano did not set out to purchase a multi-complication wristwatch, and potentially did not realize how challenging it was to make such a watch. Most watchmakers hadn’t even begun to think about miniaturizing the complicated mechanisms present in their then more fashionable pocket watches. In fact, you can count on one hand the number of wristwatches made before the end of the 1940s that feature both calendar indications and a minute repeating mechanism. 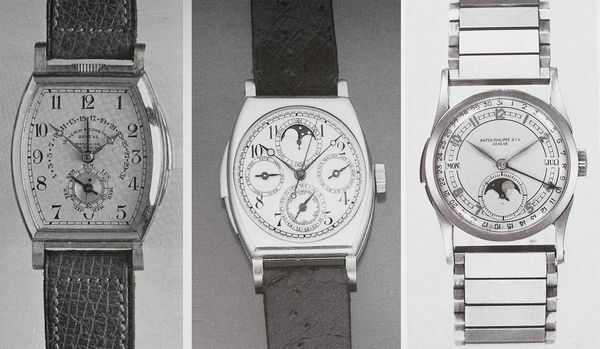 The Vacheron Constantin model 3620, the "Schulz" and the Patek Philippe (from left to right). 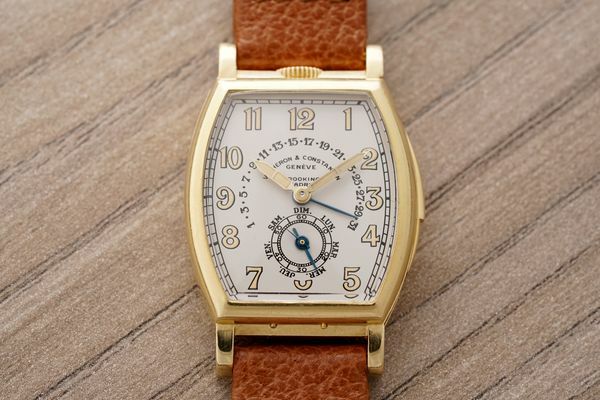 Patek Philippe, one of the most well-known complications maker, produced just the one in 1939. A perpetual calendar minute repeating wristwatch, with day, date and month all shown on the dial side, the watch now resides in the Patek Philippe Museum, which is another way of saying it will never again be on sale, although you can see any time you’re in Geneva. Then there is the “Schultz”, a platinum minute repeater with perpetual calendar and single button chronograph. Named after the American businessman who ordered watch in the late 1920s (unlike Llano, Schultz’s priority was to make the most complicated wristwatch possible), it currently resides in an important private collection with no guarantee of resurfacing in the near future. And finally, there is the present Vacheron Constantin, reference 3620. Because of its unique combination of a minute repeater and calendar with retrograde date, it is impossible to compare it with the other watches mentioned above, since neither feature the same two functions. However, all three watches have one thing in common. They were all made in the Valley de Joux. In fact, all the best minute repeating watches at the time, whether they were meant to sold by England, Germany or Switzerland were made by small suppliers from the Vallée. 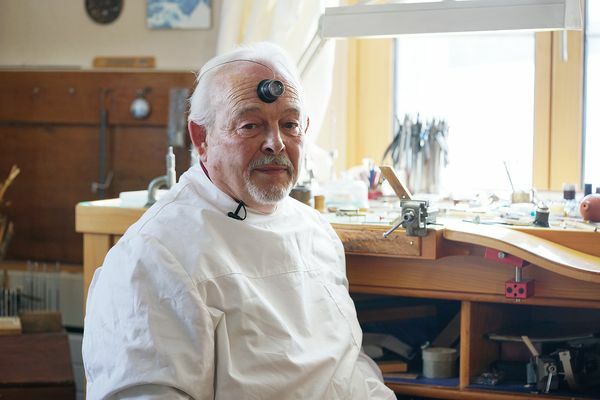 “Almost right away, when I saw the movement side of the watch, and the minute repeater with separated bridges, I said to myself: this is from here,” said Philippe Dufour, an independent watchmaker from the Vallée de Joux, who is widely regarded as one of the greatest living watchmakers. Minute repeaters were the Vallée’s specialty, and the creation of the present Vacheron Constantin was a combined effort by some of its most talented craftsmen: the repeating mechanism being assigned to Nicole, the calendar to Victorin Piguet and the dial to Stern Frères. 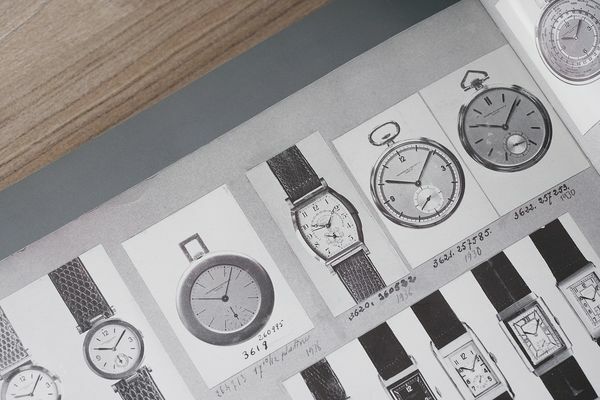 Each workshop worked independently to fulfill the brief sent by Vacheron Constantin, providing feedback along the way, which Vacheron Constantin has kept in its records. In a letter sent to Vacheron Constantin, Piguet recommends modifying a perpetual calendar mechanism of the desired size (10 lignes), to create a 31-retograde date calendar to address the client’s concerns regarding the number of indications on the dial. 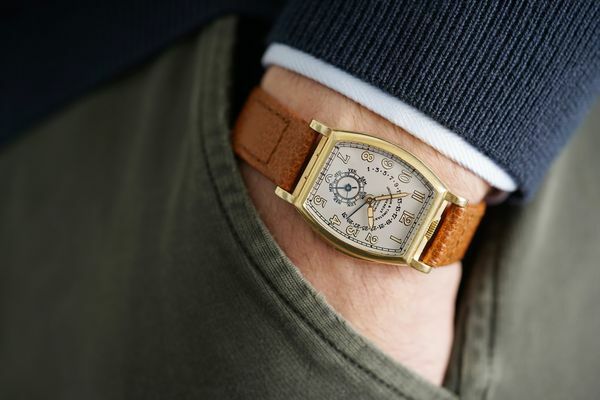 All in all, it took Vacheron Constantin four years to assemble all of the components made by its various suppliers, but the watchmaker finally delivered the watch in January of 1940, shortly before Germany’s offensive on Western Europe. Llano would enjoy it for the next seven years until his passing away in 1947, after which the watch is placed in a vault for the next sixty years, until it is opened again by the family. The original dial showed substantial ageing, as a result of spending so many years in an unfiltered vault, while the movement needed a complete restauration. 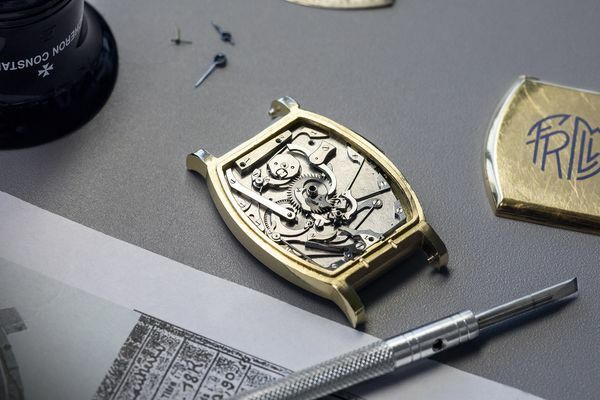 Using tools available in the 1940s, and recovering as many original components as much as possible, Vacheron Constantin was able to fully restore the movement. However, it was obvious to everyone involved that nothing should be done to the original dial, which is itself a precious trophy from the original wristwatch. 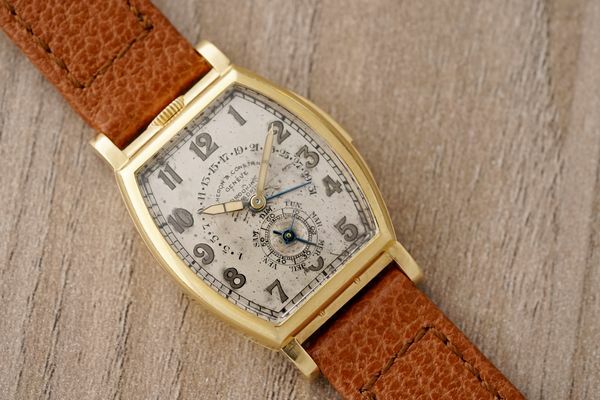 Instead, Vacheron Constantin was asked to make a new, faithful and exact copy to present it as it would have been received by its original owner, in 1940. Taking other dials made by Vacheron Constantin during the same era and carefully placing them under our loupes, we debated for hours the various features of the new dial, from the shade of opaline is should be, to the thickness of the script and the type of luminous material should be used? Since Radium is no longer in use in watchmaking, a substitute that looks and behaves similarly to the dials of the 1930s had to be created specifically for this watch. The case was also left in original condition. 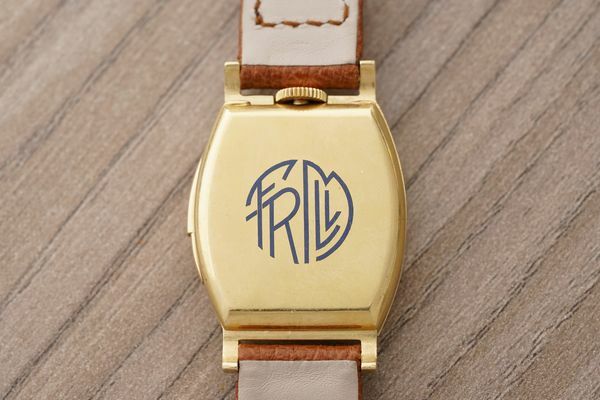 The watch even still features, more than seventy years after its conception, an enamelled monogram of Francisco Martinez Llano - who was know to his friends and family as Don Pancho - in a perfectly preserved state. The present Vacheron Constantin will be auctioned on Saturday 11, May during The Geneva Watch Auction: NINE. An earlier version of this article used an incorrect formula to calculate the original cost of the watch in today's dollars.